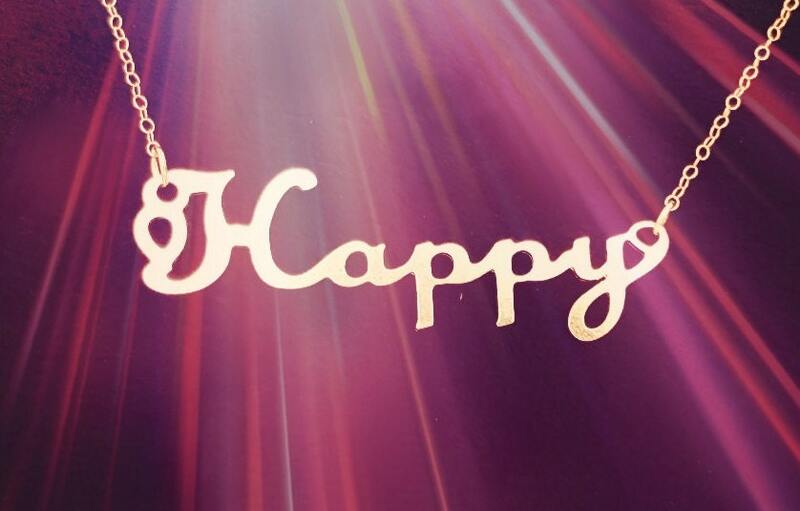 Gold Happy necklace, a lovely gold happy necklace. Chain length is 16 or 18 inches, the pendant itself is 2" wide by 3/4" tall. Thank you for looking at my gold necklace! I also make other beautiful jewelry in my shop, and I'd love for you to stop by and check out the rest of the jewelry sometime.